Spanish class provides the opportunity for students to learn about themselves, their school and local community, and their Catholic faith. 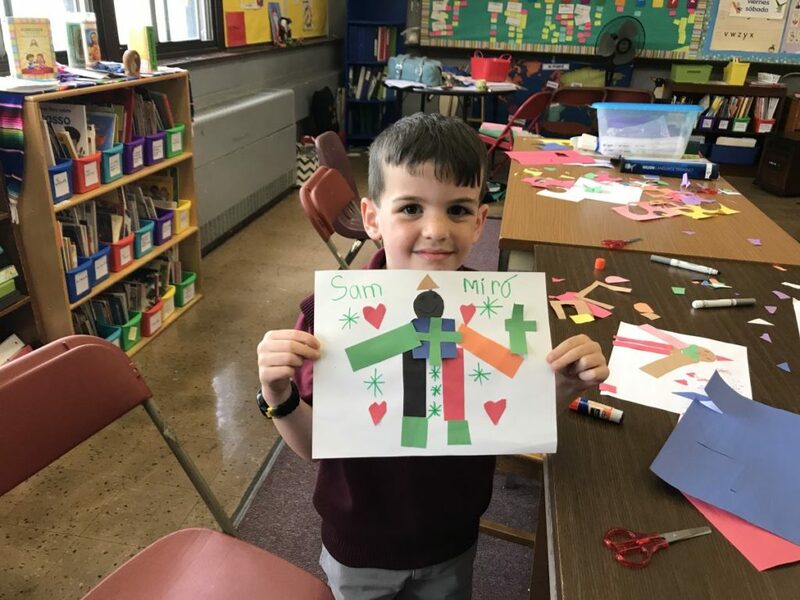 Spanish class activities allow students to explore and celebrate their cultural backgrounds while also learning about Hispanic culture and traditions, which are rich with Catholic holidays, saints, and practices. The Catholic faith is woven throughout the curriculum. For example, students learn the Our Father and Hail Mary in Spanish, study Saints important to the Spanish-speaking world, and compare and contrast religious (and other) holidays in the United States and Spanish-speaking countries. 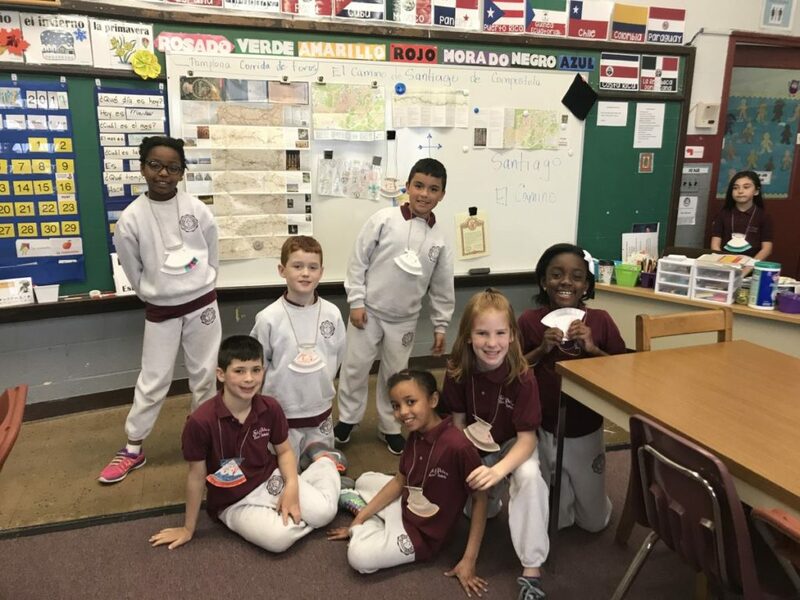 By teaching and modeling openness to other cultures and those different from us, Spanish class encourages the growth of these perspectives in students, while also reflecting the ecumenical nature of the Catholic faith. Varied teaching methods are used to address a range of learning styles and to reflect research-based approaches for young language learners. Thematic instruction is organized around meaningful topics that students can relate to and that allow for interaction and opportunities for communication in whole-class, small group and partner activities. Instruction is differentiated to meet the needs of diverse learners by incorporating several preferred learning styles in each class: for example, songs and chants for oral/aural learners, a video or images for visual learners, and a game or TPR involving movement for kinesthetic learners. The arts are incorporated and infused throughout the curriculum, as subject matter and learning activities such as drawing, creating artwork, singing, and/or acting in role plays or skits. Culture is interwoven and an atmosphere of caring and respect is cultivated for all learners so that students feel comfortable learning the language. Visuals are critical to allowing the class to remain in the target language as much as possible –thus the computer and projector are used to provide PowerPoint presentations, photos, and images depicting curricular topics. The computer is also used to present videos, songs, and other sound files that bring the Spanish language and culture to life for students. A document camera is also used to project Spanish-language story books (for larger classes) so the whole class can see the images. The Spanish curriculum integrates and interweaves culture using a variety of methods, including the selection of texts (story books, art, music, and other cultural artifacts) and discussion of similarities and differences between Spanish-speaking and U.S. cultures. Whenever possible, culture is integrated with language –such as a unit on colors, shapes, and numbers using the art work of Picasso and Miro, among others. Students who are heritage or native speakers of Spanish are celebrated and invited to share their language and culture according to their comfort level. Family and parental involvement, such as invitations to visit Spanish class, read a story, or share an aspect of their family’s culture, is welcomed.